Do you love a good talent show? 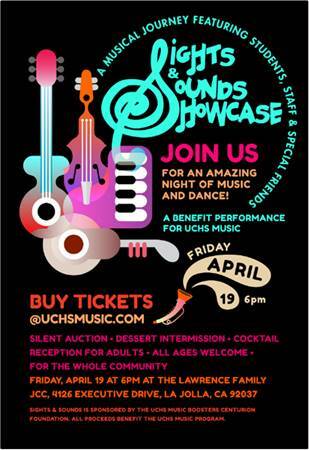 Then join us for the 5th Annual Sights and Sounds Showcase hosted by the University City High School Music Boosters. Be a supporter of music in the University City public schools. 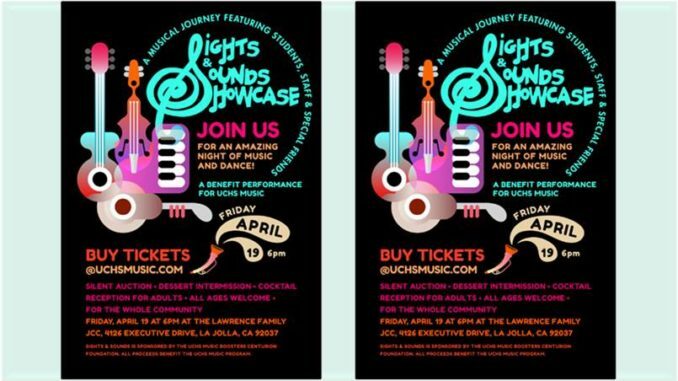 This wonderful community event gives our local youth the opportunity to show their talent while raising money to support the music program at the University City High School. We will have music, dance, singing and a concert by salsa band Rumba Y Sol. Come enjoy music, food, a dessert buffet, and an amazing silent auction. Join us on April 19 from 6 to 10 PM at the Lawrence Family Jewish Community Center, Jacobs Family Campus. Tickets are $45 for adults, $15 for students (Ages 5-20) and available from the JCC or a UCHS Music Student. Also, if you are a local business or community member that would like to support the Music Boosters and this event with an item for our silent auction or a sponsorship, please contact Christine Mailloux at uchsshowcase@gmail.com.